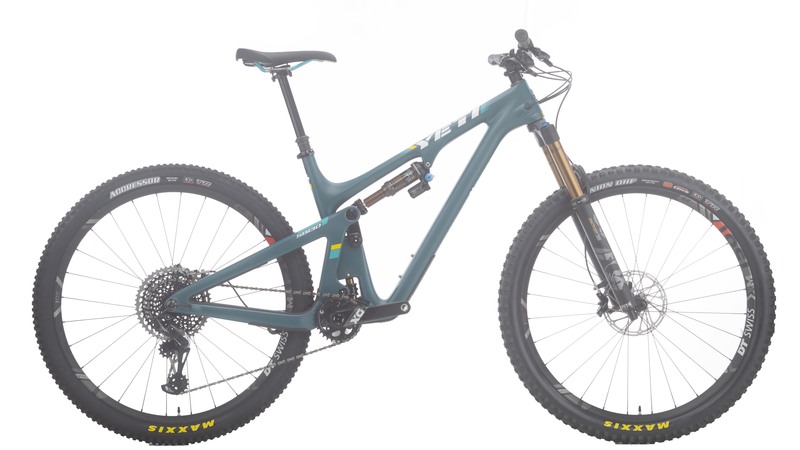 Let me introduce you to the all-new 2019 Yeti SB130, a slightly more trail friendly bike than its predecessor the SB5.5. 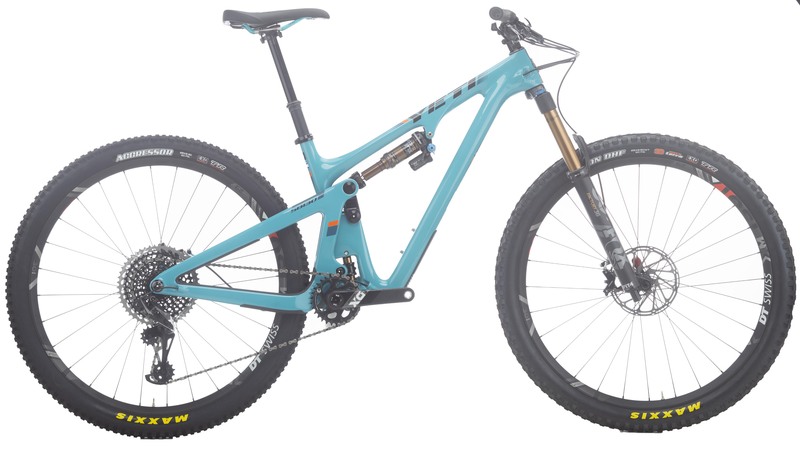 Focused around a 130mm of rear travel and a 150mm fork, the SB130 is a 29er that’s capable of just about everything. 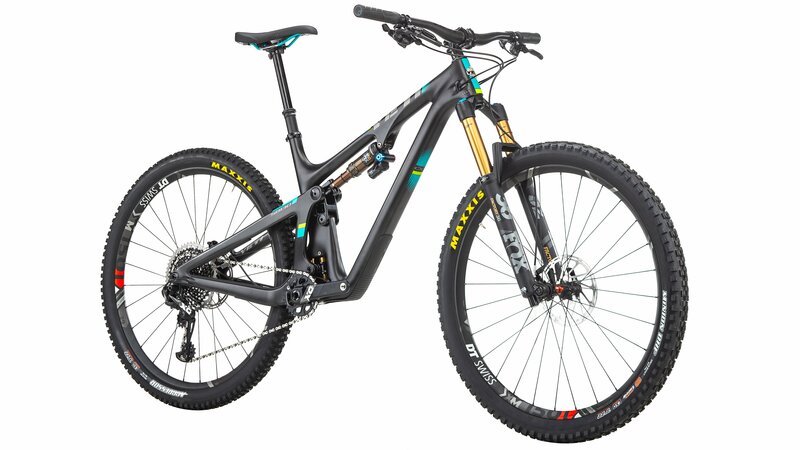 It’s impossible to create a bike that can handle every discipline of riding at the highest level, but the SB130 sure is trying it’s best. 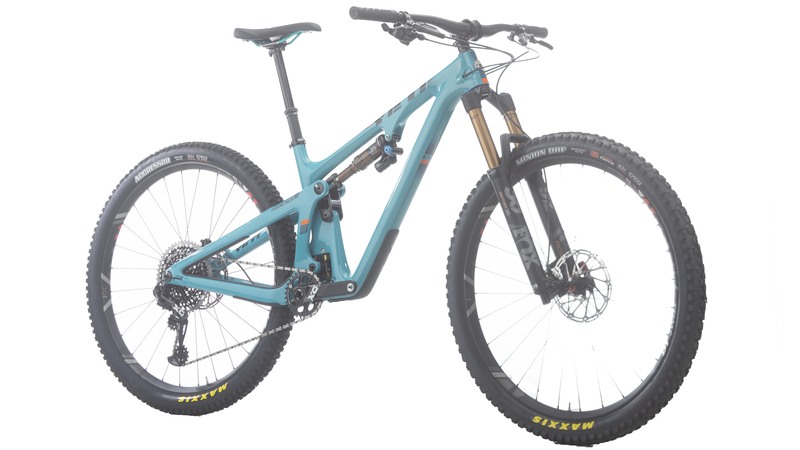 From all day adventures that end miles away from civilization to podiums at local Enduro races, the SB130 will take you where you want to go. 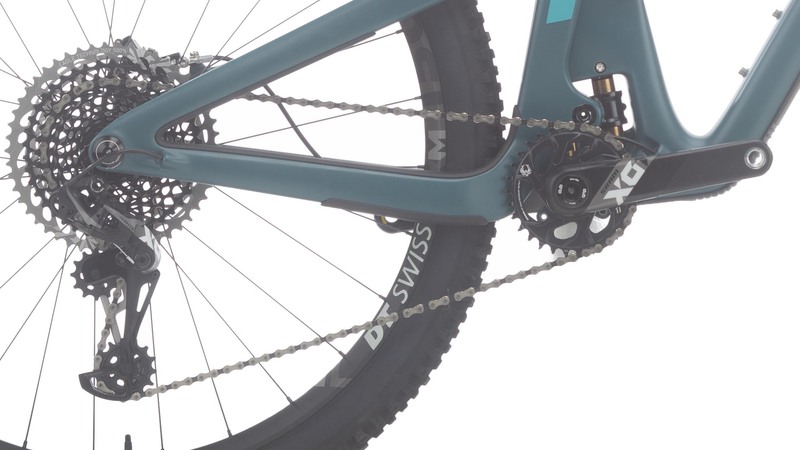 Simply put, the SB130 is efficient whether you are pushing up a climb, sprinting down a descent, or logging as many Strava miles as you can. 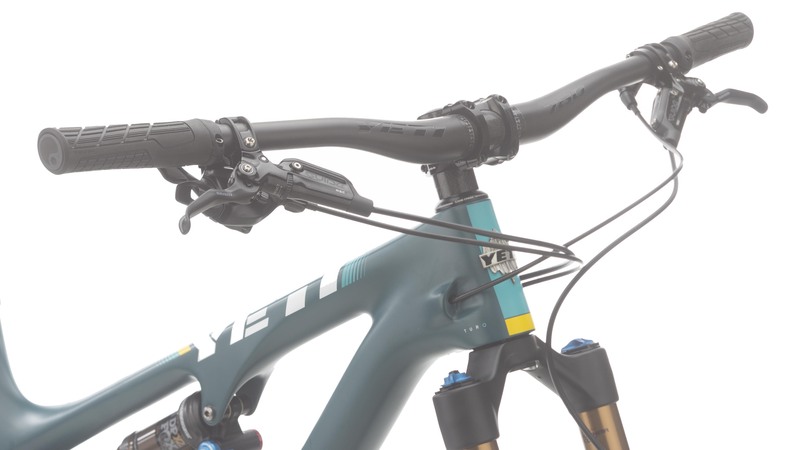 The SB130 continues to use Yeti’s renowned Switch Infinity suspension platform with improved kinematics and more progression. 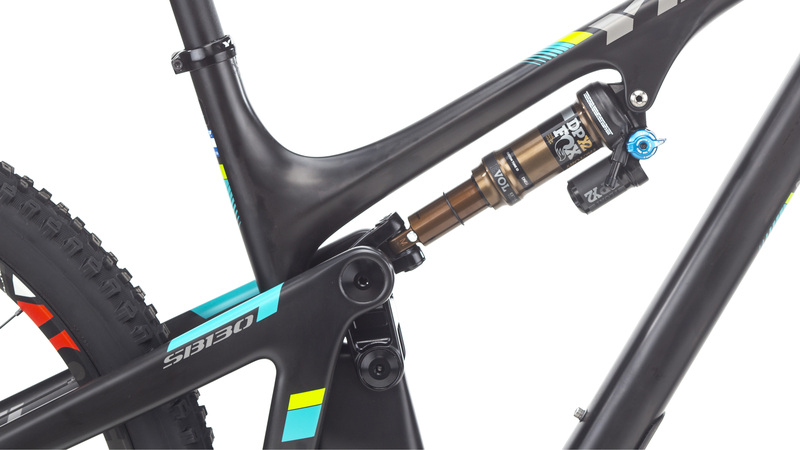 Progression is best described as the rear shock getting stiffer the further into the travel it goes. 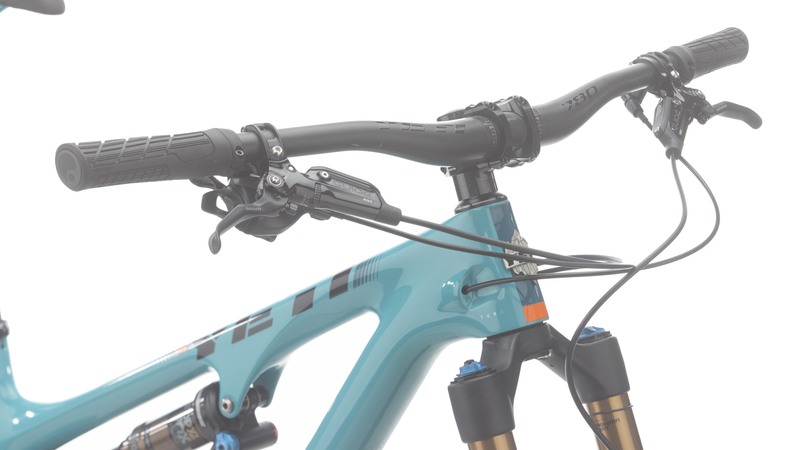 This allows a shock to maintain great small bump sensitivity and suppleness off the top but ramp up when a big drop or jump is hit. 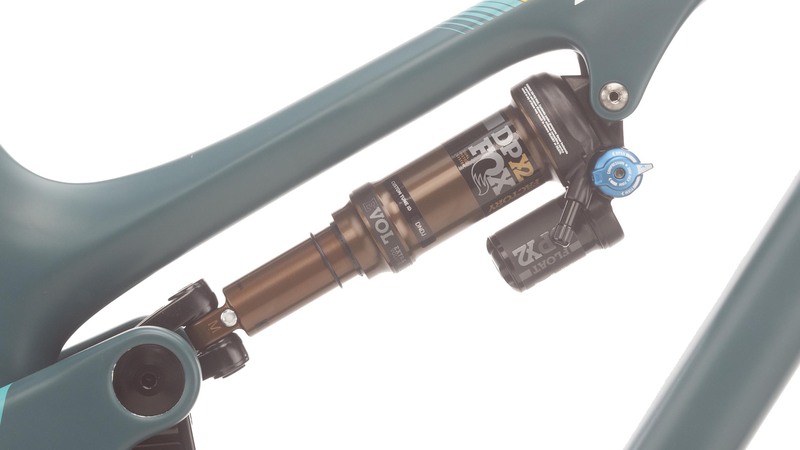 The Fox DPX2 which comes on all SB130 bikes also accepts volume reducing spacers which further increases the progressiveness of the suspension. 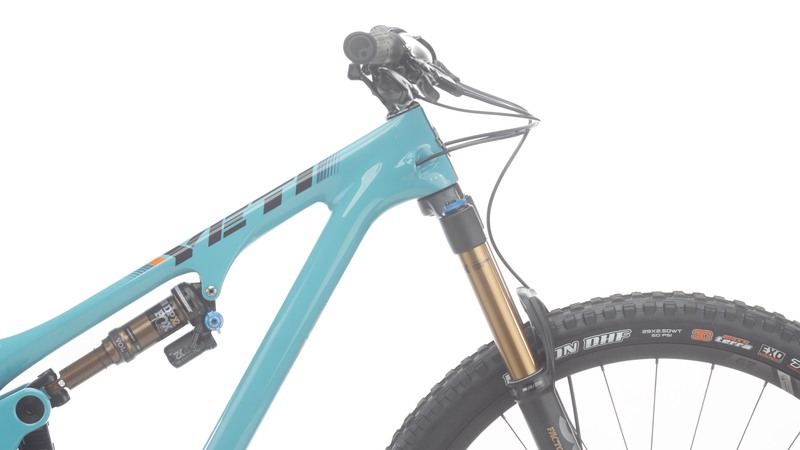 The SB130 TURQ X01 Race comes with a pro-level build kit that is ready to shred. 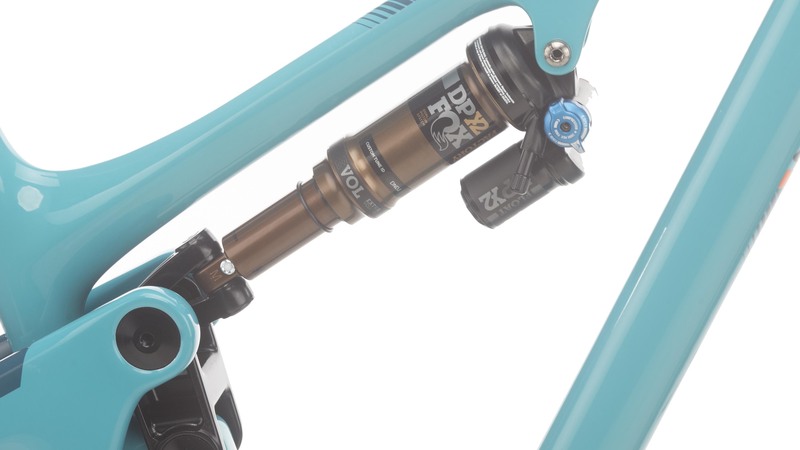 The Fox Factory 36 fork and DPX2 rear shock will smooth out the rough terrain in front of you, the SRAM X01 Eagle drivetrain with an ultra-wide 12-speed range will assist you up the steepest climbs and accelerate you down the fasted descents, and SRAM Guide RSC brakes provide incredible consistent stopping power when it comes time to slow down. 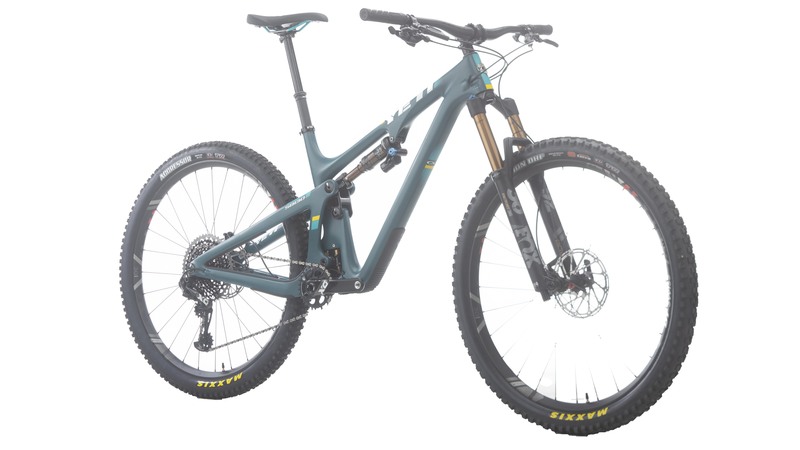 If you are in the market for a new bike that loves descending but can also handle every climb with ease, the Yeti SB130 should be your next bike. 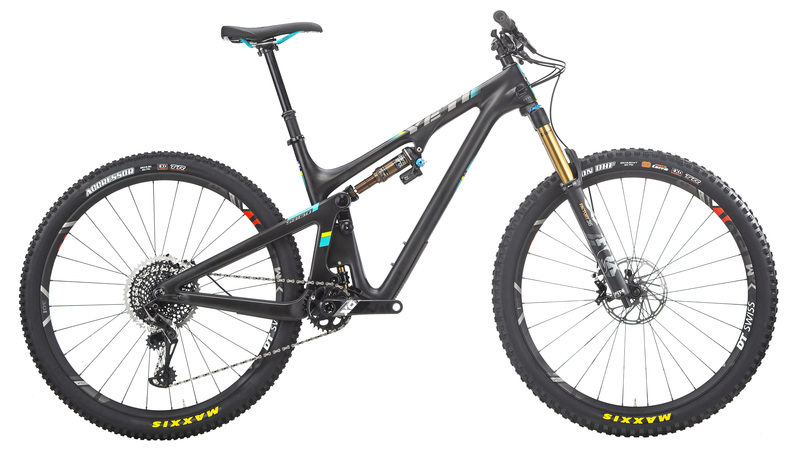 From bike park laps with friends to all day adventures in the trees, the SB130 is truly a bike that can do it all. 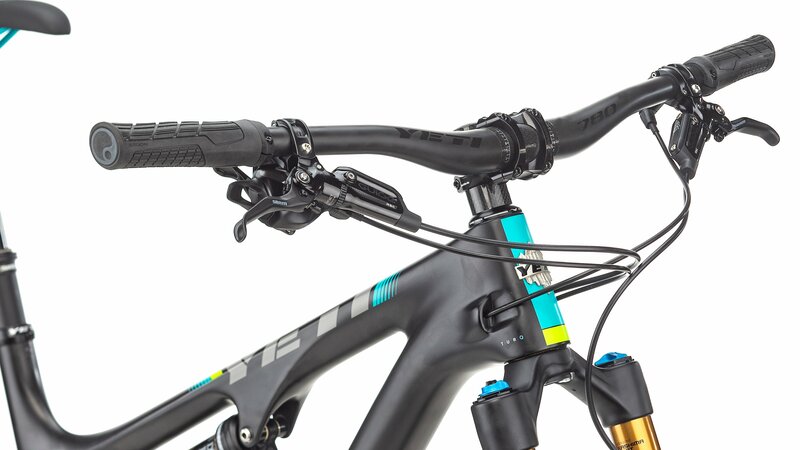 Get yourself a bike with no limits. 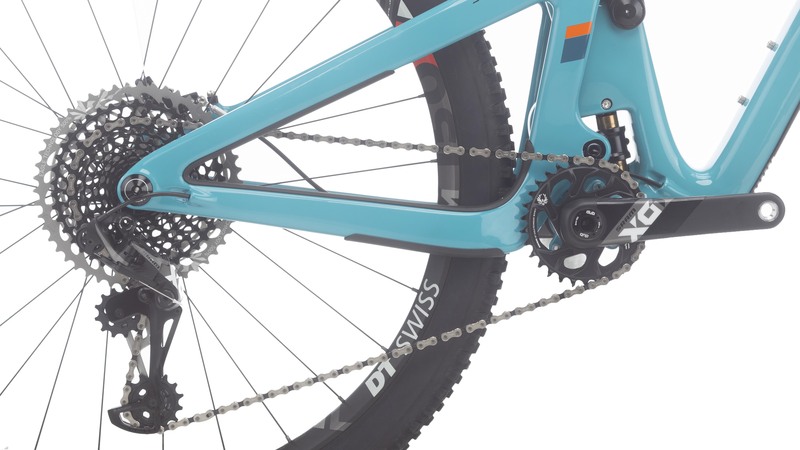 Get yourself a SB130. 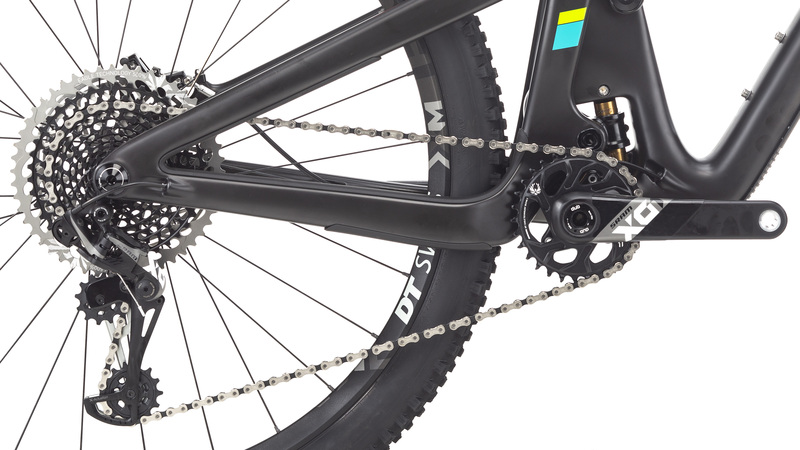 BEST ANSWER: The SB130 will fit up to a 2.5" tire.